The adorable charm of Disneyland Paris' Fantasyland lies everywhere. It's not just the magnificent castle or fun Alice's Curious Labyrinth. It's even in the regular facades and restaurants and storefronts. And it has to be. 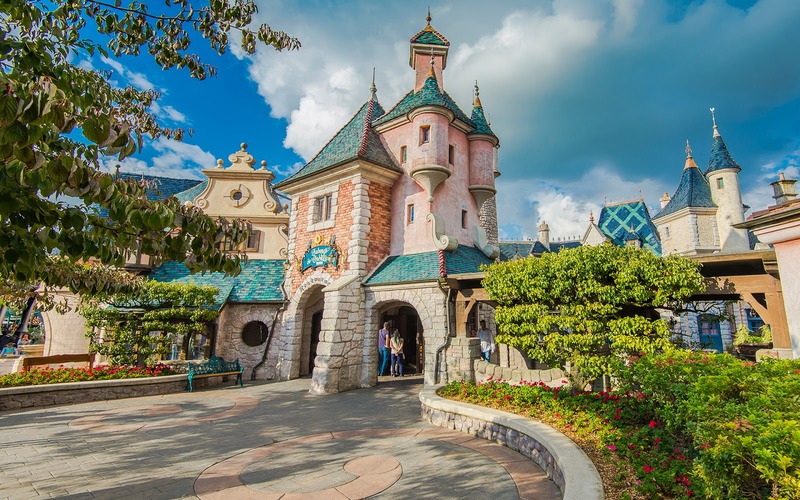 On a continent that originated the fairy tales and stories that have inspired so much of the legends that inhabit the Disney movies, where actual chateaus and provincial towns and romantic villages can be found, a "Fantasyland" needs to go above and beyond. And Disneyland Paris' does. Which is why I love it. L'Auberge de Cendrillon is a lovely restaurant in Fantasyland with an absolutely charming facade.